Skip the garishly bright sugar-bombs and try macarons made right. 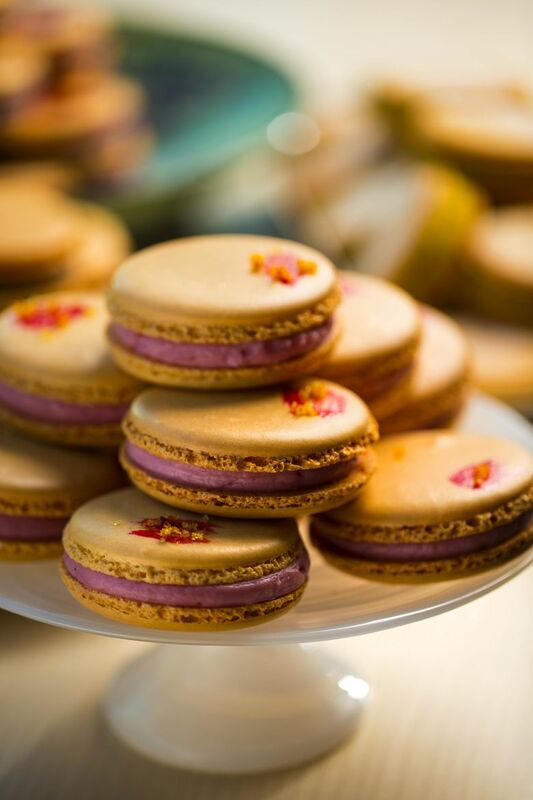 SARA NAFTALY had her first macaron in Paris when she was 4 years old. She grew up there and in London, and while she has a distinct memory of that day at the pâtisserie, she doesn’t have an attachment to that macaron like Proust did to his madeleine. 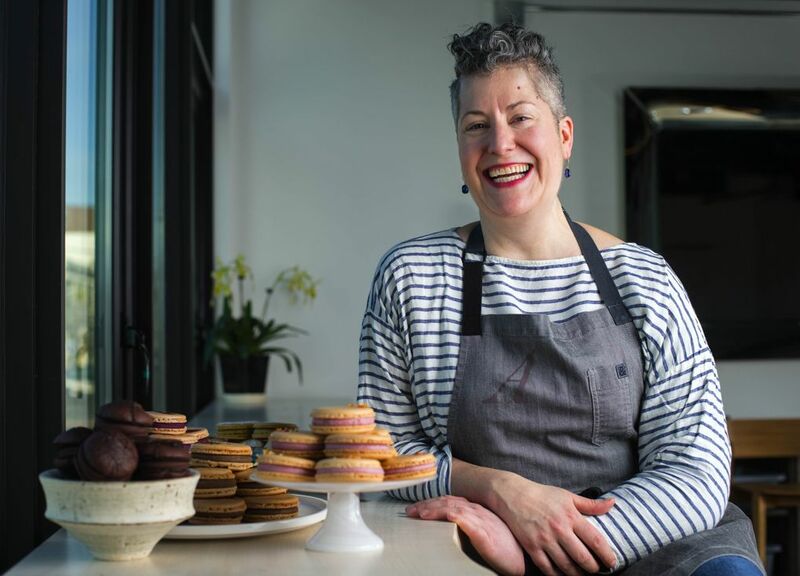 Her philosophy of the beloved French cookie is an inclusive one — as long as they’re good. 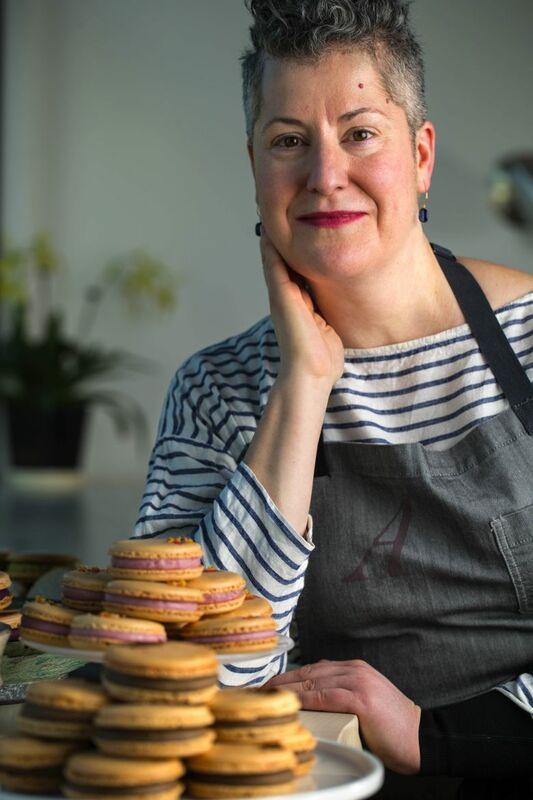 She’s both an idealist and an experimenter, and making macarons at her new Capitol Hill spot, Amandine Bakeshop, isn’t just an occupation: “It’s a crusade,” she says. She’s not entirely joking. Doing it right turned out to be more difficult than doing it wrong. The natural sugar Naftaly uses absorbs more moisture from the air than the refined kind, making the batter softer and more unruly. She also used natural colorings — made from beets and such — for the cookies, but it made them still less solid, so she couldn’t go overboard. Then she decided to imbue “vibrant inherent natural color into the fillings, rather than the shell,” adding pretty, flavor-appropriate garnishes on top. Her nuanced, unusual fillings — such as black currant, yuzu, sour marmalade with Indonesian cinnamon, tamarind lime, chocolate ganache with smoked chipotle — are all-natural, too. But first up: macarons glacés, which are, thrillingly, macarons filled with ice cream. “I have maybe even more passion about those,” Naftaly muses. “I really love really good macarons glacés.” She calls them a “fascinating medium” — they’re altered by freezing. “The shell gets really, really shiny, and it gets both more crisp on the outside, and then much more dense and chewy on the inside. And it just makes a totally great whole with whatever ice cream you’ve got in there … They’re just scrumptious.” She will, of course, be making her own ice cream. Bethany Jean Clement: bclement@seattletimes.com. On Twitter: @BJeanClement. John Lok is a Seattle Times staff photographer.